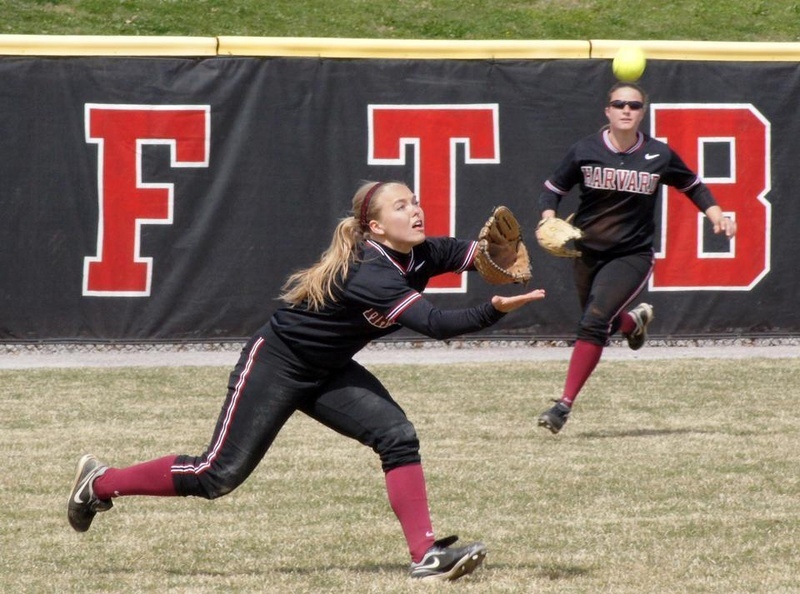 Last season, the Harvard softball team scored 19 runs to take down Yale, 8-0 and 11-1, in its doubleheader. This season, the Crimson managed to top that, scoring a total of 26 runs in 11 innings to sweep the Bulldogs (7-27, 1-11 Ivy) in Saturday’s doubleheader at Dewitt Family Field in New Haven. After grabbing a 14-1 victory in the first game of the day, Harvard (24-10, 11-1 Ivy) kept the momentum going in the following contest and ultimately earned a second win, 11-2. In Saturday’s wins, the Crimson combined for 26 runs and 30 hits, while the squad’s defense held Yale to only three runs and nine hits. The Crimson ripped 14 hits while allowing just six to take the second game of the doubleheader, 11-2, in a game shortened by the mercy rule. After a scoreless first, Harvard was the first team on the board, scoring three runs in the top of the second inning to take an early lead. Freshman second baseman Katherine Lantz and sophomore catcher Allison Scott hit back-to-back singles to lead off the inning. Co-captain first baseman Whitney Shaw then advanced on an error by the Yale infield, loading the bases for junior designated player Jessica Ferri. Ferri kept the momentum going, singling in Lantz. Scott scored next as senior shortstop Jane Alexander reached on a fielder’s choice, and Shaw provided the final run of the inning, crossing home on sophomore right fielder Shelbi Olson’s ground out. Following another scoreless inning in the third, the Crimson put up four runs in the top of the fourth inning to extend its lead to 7-0. 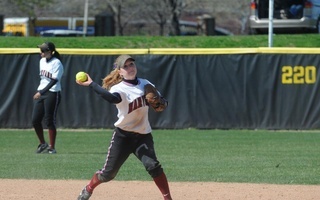 Junior left fielder Ashley Heritage advanced on an error and scored on a single by Olson. 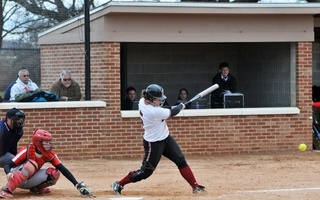 Sophomore third baseman Kasey Lange followed that with a double, knocking in Alexander. Olson then scored on a wild pitch, and junior centerfielder Stephanie Regan singled to bring home Lange. The Bulldogs responded in the bottom of the inning with two runs to make it 7-2. Neither squad put up runs in the fifth inning. 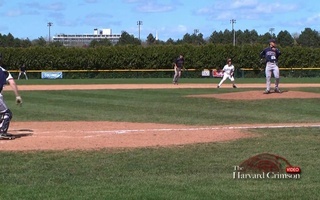 Harvard scored an additional four runs in the sixth to put Yale in a nine-run hole. Heritage singled and advanced on Alexander’s sacrifice bunt. Olson then singled to right field, and Lange singled in the next at-bat to bring in Olson and Heritage. The rally continued as Lange scored on freshman second baseman Emily Gusse’s single to left field. The fourth run of the inning came in on a Whitney Shaw double to left center. The Bulldogs were unable to muster up a run in the bottom of the inning, and the Crimson nabbed the victory, 11-2. 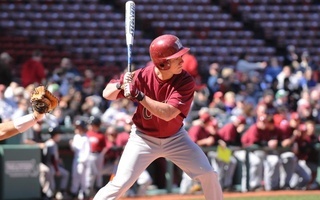 Finishing off a tough road trip this weekend against the New York Institute of Technology (3-11, 0-0 ECC), the Harvard baseball team (3-15, 0-0 Ivy) split the four-game series with the Bears. Harvard (4-24, 1-7 Ivy) entered the four-game weekend hoping to improve its record in the Ivy League but came away with just one win, thanks to Way’s heroic grand slam at the end of the first game against Big Red (4-20, 2-6).